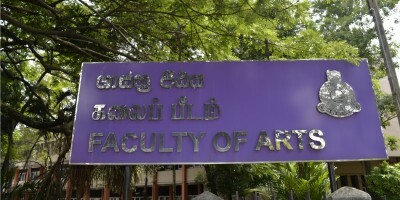 The Faculty of Arts is the largest in the University of Colombo in terms of student enrolment. The faculty has nine academic Departments and several teaching Units offering courses in the Humanities and Social Sciences. Apart from undergraduate BA courses, several Departments offer courses for Diploma, Masters and Ph.D degrees. Many students who successfully complete Special BA Degrees eventually register for postgraduate degree programs offered by the Faculty. The English Language Teaching Unit (ELTU) provides undergraduates with a working knowledge of English through its Proficiency Courses in English. There cannot be any dispute that a working knowledge of English offers the student a distinct advantage to society today. The Faculty of Education was established in 1973. 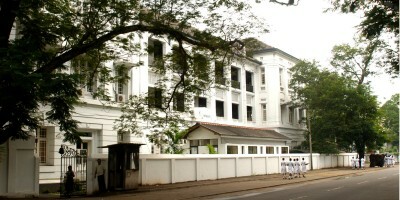 In 1975, the Departments of Education of the Peradeniya, Vidyalankara and Vidyodaya Universities were brought to Colombo and merged with the Faculty of Education. The Faculty conducts undergraduate and postgraduate programmes in Education. Its mission is to facilitate the development of committed professional educators with relevant knowledge, favourable attitudes and useful skills for teaching, research and service to the nation. The Faculty of Graduate Studies of the University of Colombo (FGS-Colombo) is one of the leading postgraduate institutions in Sri Lanka. Located in the heart of the commercial hub of the country, it can lay claim to well-established facilities and internationally qualified academic staff.As a bachelor’s degree is now considered as a basic qualification for academic or employment prospects, postgraduate training is essential to become a professional in your field. Postgraduate qualifications can admit you to an exclusive club of top level competitors in a fast track knowledge-based global economy. The FGS-Colombo can secure your professional future with a diverse range of specialized postgraduate study programmes in the applied social sciences, business studies, and international affairs. With state-of-the-art educational methods, FGS-Colombo study programmes are designed to help today’s knowledge worker meet the challenges of the future. In 1924 there was a suggestion to introduce law as a university discipline. However, this suggestion was not implemented. It was only once the University of Ceylon was established in 1942 that a course of study for a law degree was designed. 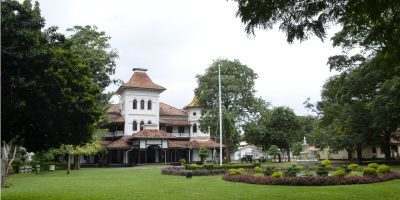 In 1947 a Department of Law was established at the University of Peradeniya in the Faculty of Arts and in 1950 the first Law Degree was awarded. 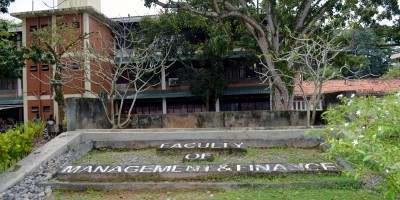 This Department was later shifted to the Colombo Campus of the University of Ceylon.A separate Faculty of Law was created in 1968. 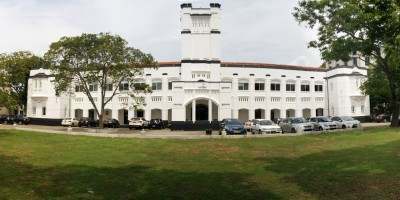 Historical development of this newly established faculty dates back to 1979 when the Department of Commerce and Management Studies of the University of Colombo was established. Now, the faculty is having six academic departments through which six “Bachelor of Business Administration (BBA) Degree Programmes” specialized in Accounting, Business Economics, Finance, Human Resource Management, Management & Organization Studies and Marketing are offered. Further, the faculty has a Postgraduate & Mid-career Development Unit through which specialized MBAs and other extension programmes are being offered. 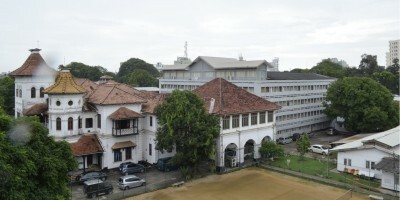 Established in 1870, the Faculty of Medicine has been the mother of medical education in Sri Lanka. The Faculty has been actively involved in all milestones of Health development in Sri Lanka. It has been responsible for the training and graduation of medical graduates in Sri Lanka according to the health needs of the country. In addition to the MBBS course, the faculty also conducts a BSc in Physiotherapy course. The Faculty is at the forefront of modern medical education in Sri Lanka, and uses innovative technology such as Virtual Learning, in an integrated modular curriculum. The Faculty has close links with the National Hospital of Sri Lanka, the De Soysa and Castle Street Maternity Hospitals, and the Lady Ridgeway Hospital for Children, for teaching, training, clinical services and research. The Faculty of Science is clearly distinguished by it icon, the University tower, which is located in the heart of the Faculty. The infrastructure of the Faculty developed greatly in the recent past, based on a development program established in 1974. 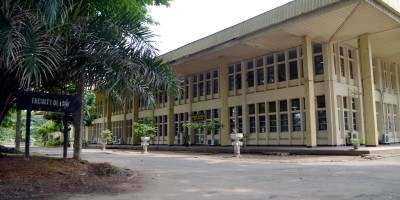 The Faculty consists of the Department of Chemistry, Mathematics, Nuclear Science, Physics, Plant Sciences, Statistics and Zoology and conducts courses leading to the B.Sc. general degree (03 years duration) and B.Sc. special degree (04 years duration). A range of subject combinations is available for the general degree while special degree programs are available in several areas. The Faculty together with the University of Colombo School of Computing offers several joint special degree programs as well. The Faculty of Science also conducts several postgraduate programs leading to the Master of Science degree and postgraduate diplomas. The Faculty plays a very active role in research and there are many research students reading for Ph.D. and M.Phil degrees. Through the research programs the Faculty and the Departments have established strong links with both Sri Lankan and foreign research organizations. The members of the Faculty also pay a prominent role in national development. Faculty of Technology is one of the newest Faculties to join the prestigious University of Colombo.In response to the introduction of the “Technology Stream” for Advanced Level curriculum, the University of Colombo took up the challenge to accept students from this stream who qualify to enter the University, in a new Faculty, the Faculty of Technology. University of Colombo is the oldest and the highest ranked Higher Educational Institute in the country and establishment of the new Faculty will be a further step in its march towards achieving excellence in many different educational fields. 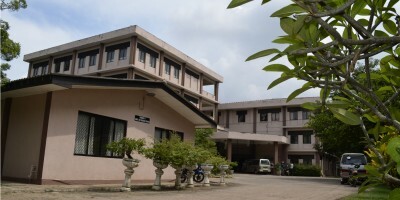 Students of various disciplines study in seven other Faculties, Institutes or Schools of the University of Colombo and the University will ensure that the students of the new Faculty of Technology will be provided with unique opportunities for them to be among the best.